6 note polyphonic, 2 DCOs per voice, low pass filter, 2 VCA’s, 3 ENV generators, 2 LFO’s, 2 ramp gens, a tracking generator and a 10 way modulation matrix!! 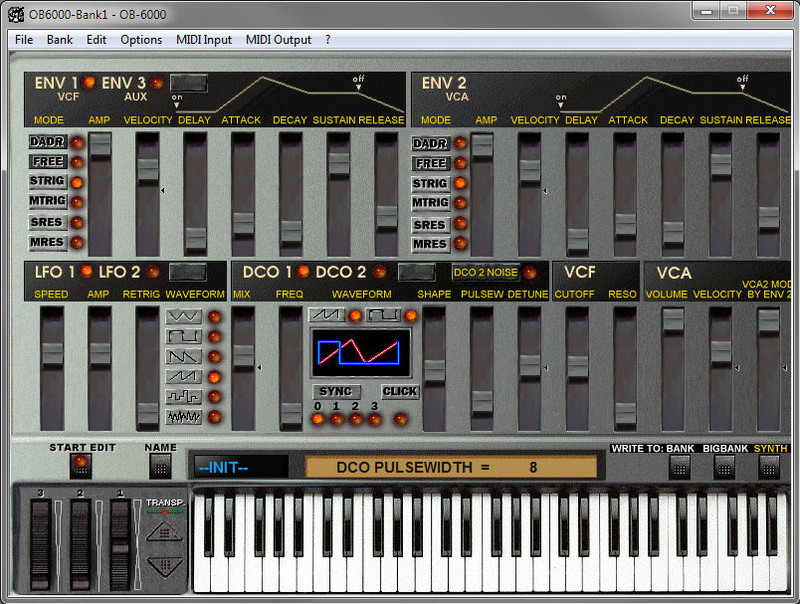 The Matrix-1000 was intended as a sound module with 1000 of the best sounds from the Matrix-6 keyboard. A lot the presets are truly excellent; stick a good effects unit on them and you’re away! If you wish to make your own patches you will need an editor as below. (I’ll update this when I am more familiar with the synthesis). Minor Problem: For some reason I appear to have some dead patch locations on the synth; for example if I send a patch to location 011 the sound is silent, have to save to location 012 instead. Anybody else had this or got any idea what’s going on? I’ve tested a couple of different editors for the Matrix and have had the best results with OB6000 at this time. 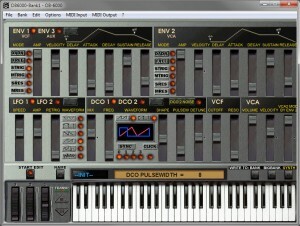 This is a stand-alone program which gives complete control over the synth including sending & receiving sounds and banks, and editing patches.